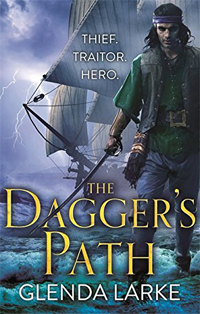 Ardhi, Sorrel and the excommunicated cleric, Saker Rampion, stow away on a ship to the Spice Islands. They must return stolen items of great power to Ardhi’s home, but there are ruthless men after this power, men who will kill to possess it. At home in Ardrone, an army of demonic origin runs amok while Saker’s superiors in the church struggle to quell it. And the young queen Mathilda struggles with the possibility that her newborn child, the heir to the throne, may be linked to the corruption that has erupted throughout the land. Glenda Larke grew up in Western Australia. She obtained a degree in history and a diploma in education at the University of Western Australia, and has taught English in Australia, Vienna, Tunisia and Malaysia. (Her husband works with the United Nations.) She currently resides in Kuala Lumpur, Malaysia, with her husband and their two children. Larke’s first novel, Havenstar was published in 1998 in the UK under her married name of Glenda Noramly. 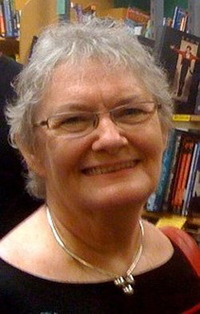 In 2003 she returned to the fantasy genre under the name of Glenda Larke when The Aware, the first book in The Isles of Glory trilogy, was published. The Aware was a finalist in the 2003 Aurealis Awards fantasy division. Gilfeather and The Tainted completed the trilogy. The Tainted was a finalist in the 2004 Aurealis Awards fantasy division. The Isles of Glory was shortly followed by Larke’s second trilogy,The Mirage Makers. It includes Heart of the Mirage, which was released in 2006 and was a finalist in the 2006 Aurealis Awards fantasy division. Glenda also writes non-fiction, usually articles on conservation issues, particularly those relating to bird conservation. These articles are mostly published in Malaysian nature magazines.